Prerequisite: Recommendation from counselor or instructor; Advanced Math or higher recommended; see sight supplement. AP Macroeconomics A (HP) covers the syllabus necessary for students to pass the AP Macroeconomics exam in May. 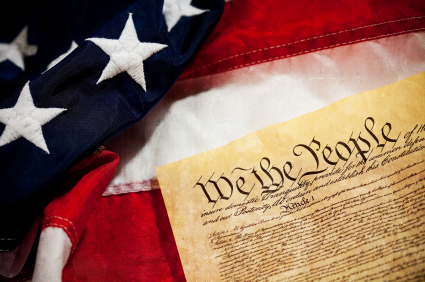 This semester class covers America’s political foundations; political parties, media and special interest groups; three branches of government: legislative, executive and judicial and their influence on society. The course is the culmination of the civic literacy strand that prepares students to vote, reflect on the responsibilities of citizenship and to participate in community activities. This class does not meet CSU admission requirements. Prerequisite: Recommendation from counselor or teacher; see site supplement. AP exam in May for college placement and/or credits. The course is designed to introduce students to the systematic and scientific study of the behavior and mental processes of human beings and other animals. Prerequisite: Recommendation of counselor or instructor; students must be above grade level in reading/language; see site supplement. AP American History AB (HP) covers the syllabus necessary for students to pass the AP exam in May. Prerequisite: Recommendation of 9th grade English teacher and/or counselor. Student must be above grade level in reading/ language; see site supplement. This course is designed to develop greater understanding of the evolution of global processes and contacts in interaction with different types of human societies and covers the syllabus for students to successfully pass the national exam in May for college placement and/or credits. This course builds upon the fundamental concepts presented in the required social science classes. Topics covered include a study of the free market system, labor force, monetary policy, fiscal policy, and international trade. Psychology A is an introductory course to the study of the individual as a behavioral science. Topics include the biological and social basis of behavior, perception, motivation, intelligence, and personality. United States History AB (P) continues to build upon the 20th century chronological development of our country to study major themes that have shaped our country’s destiny. The shaping of America’s future depends on a better understanding of her past. World History AB (P) covers history, geography and economics of selected culture from both the western world and non-western worlds. Themes include the rise of democracy, the effects of nationalism, revolution and imperialism along with industrialization, militarism and the background of current global conflict. The historical backgrounds of the past will be related to our present world situation. Sociology A is an introductory course in the study of groups as a behavioral science, including areas of interest and techniques used. Special emphasis is placed on groups that affect lives of the adolescent, the development of values and the adolescent’s place in society. The course concludes with a look at the causes and consequences of social problems of interest to the adolescent. World Geography and Cultures will explore and discover the processes that shape the earth, the relationship between people and the environment.